Time flies because I’m not sure how we got to the second week in September already. We’ve had a couple of days of cool weather and were able to open the windows. That’s a really good thing since several of the line items on our electric bill have gone up almost 20%. The list of fall chores is long, but I’ve been working on it along with my fall job of moving. Moving is what gardeners do, right? I have a couple of beds that I’m transitioning from perennials to shrubs, and some did better than others in their previous spots. I also bought a dwarf white dogwood, and I moved two other shrubs to get the perfect place for the dogwood. Along with gardening maintenance, how about some numbers this Monday? I like numbers, at least the regular kind that don’t have letters attached, but even I don’t like these numbers. 57. Yesterday, we traveled to a neighboring town to do a couple of errands. On the way, we saw a lot of deceased squirrels on the highway. On the way back, we counted 57 dead squirrels on a 9.5 mile trip. According to the news, last year was a big reproductive year for them and now they are hunting for food. NH does a really good job of picking up litter along the roads, but I think they need to head out there with a shovel because it’s pretty gruesome out there. 78. Seventy eight were the number of people waiting to be seated at Newick’s Lobster House on Saturday evening of Labor Day weekend. I was there to get some clam chowder to go because I knew I could do that easily. Have you ever stood in line with that many people to eat at a restaurant? Not me, I don’t care what they serve. 264. Two hundred and sixty-four was what we were charged last week for a 30 minute service call. I am grateful they came, I’m grateful we had the money to pay it, but really? Does anyone really deserve $254 in labor for less than 30 minutes. I’m thinking some of the younger generation needs to forget the corporate world and instead start a service business. Tomorrow, I think I can safely say, we will all stop to take a moment and remember 9/11. Gone but never forgotten. 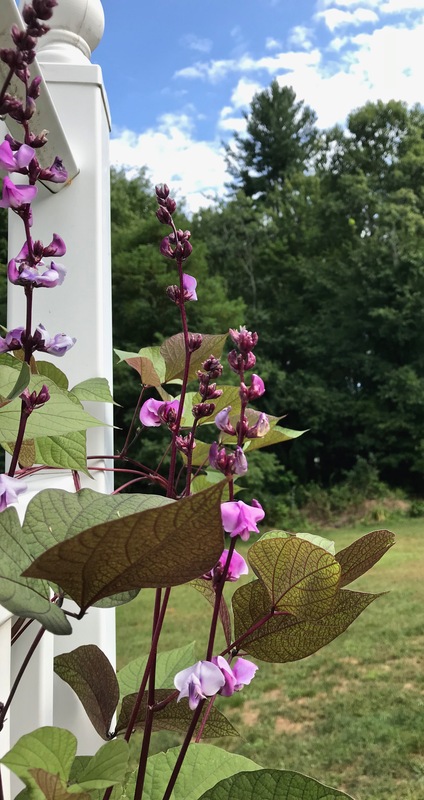 This entry was posted in New England and tagged 9/11, Dwarf dogwood, Fall, Fall chores, Gardening, Hyacinth Bean, Newicks Lobster House, Service cost. Bookmark the permalink. Wow! Maybe I’ll open a service business when I retire. That’s a big number for half an hour. Sad to hear about the squirrels. I don’t think there’s food worth standing behind 74 people to wait for. I hope you get a jump on your fall chores. I’m not sure if you’re in the path of the big wet that’s coming, but I hope you get some nice days this week. … and nope, it’s not very often I will wait in line for a table in a restaurant ESPECIALLY if there are that many people waiting!! $264.00 for 30 minutes!! Only in America! Very sad about the squirrels. I’ve noticed several here as well. I”d stay home and eat bread and butter before I would wait in a line like that. Hope you pace yourself with the fall chores. You won’t be perspiring, but those chores will have the same effect on your joints and muscles!!! Just ask mine! Lol. Those are some numbers, and ouch about the electricity bill. Poor creatures who get hit by cars! Under any circumstances, I hate to see it, and this year sounds especially bad. No, I would never wait in line that long. Much too impatient, and in that case, impatience might actually be a virtue. As for the service charge…wowsah! We should have skipped college and all became plumbers. That is the truth. We have an electrician who lives right across the street, and we can’t get him to come do any work – he’s got too many large jobs. Yup. I thought the same recently. I agree with Marilyn. While there are things unique to a 4 year college degree that make it a desirable experience to have, many skilled laborers supersede those grads in career opportunity and pay level security. We just need to encourage our kids to do what they love and are talented in. I’m obviously in the wrong job because I don’t earn anywhere near that much in half an hour. And no way would l stand in a line like that for food. There must be other places, or I would just go home and make my own lunch! This day in September seems to come round faster every year. Not many folks make that kind of money, and I’m sure the guy who came doesn’t make anywhere near that amount. I’m guessing in the future everything will have to be considered disposable because we won’t be able to find service people, and if we do we won’t be able to afford them. Wonder if there’ll come a time where service people won’t be able to afford hiring themselves? Like, after the big recession (1985-ish) when housing finally took off and skyrocketed, we’d laugh about how we couldn’t afford to buy our own house! I love the Dwarf White Dogwood & We’d love to plant one … but we are expecting a hot dry summer… so We are keeping things simple. Sept 11th will be remembered today at our War Memorial. It’s always good to plant according to the climate – saves a lot of pain and frustration. Remembering is always a good thing. Those are big numbers! Friday must have been the whopper-bill day. Mine was at the vet’s. 😦 Is overhead really THAT high? With the squirrels, I always think that there are plenty of scavengers that will eat well in prep for winter. Foxes often walk along roads to pick up free food, as do coyotes, turkey vultures, crows, etc. Nothing is wasted in nature. I guess we need to mark last Friday and try to avoid it next time. 🙂 Yes, nothing is wasted in nature that is for sure. This amount on the highway is really gross. Wow, that’s a lot for half-an-hour! Did they give you a quote before they came? I don’t think I’d go anywhere near a restaurant on Labor Day weekend… just a few days after that and you’d have the place to yourselves. Whoa on the squirrel massacre. Whoa. No, I’m not waiting in that kind of line for any food. This is America, there’s food everywhere, thank you. Eek on the service call! And oh my goodness, this summer was too hot for too long and yeah, that was pricey, too! My husband is handy too, but this was something neither of us could handle. But, we did watch the repairman so we might be able to do it the next time. 🙂 For those of us old enough to remember, 9/11 does seem like just yesterday. Todd Beamer and Mark Bingham were from Los Gatos. Tom Burnett was from San Ramon. I find it disturbing how September 11 is barely acknowledged here anymore. That is disturbing. There are several remembrance events across our state today with one at a high school where an alumni was lost in PA.
Well, you make a solid point here. I like your approach through numbers! What a way to sum it all up. I’m trying to picture that many people waiting in line at a restaurant — were they all looking down at their phones? I think that, faced with a line like that, I’d even eat my own cooking. Dead squirrels and expensive service calls — it’s a good thing you have a garden to balance things out! That dwarf white dogwood sounds beautiful! 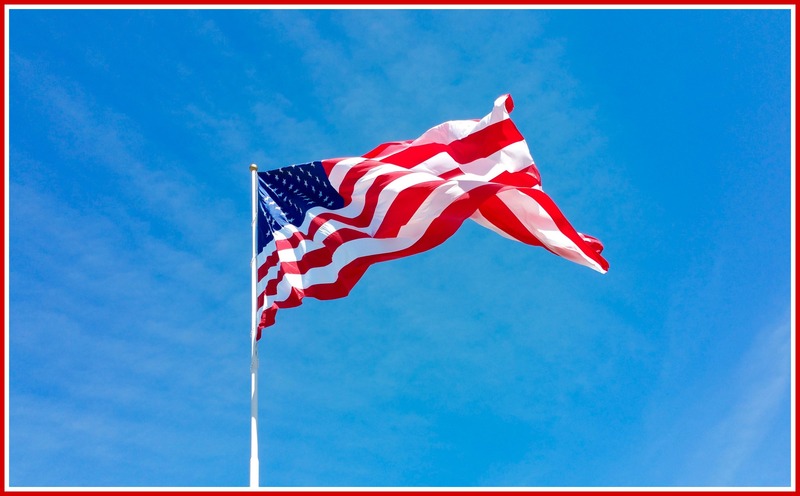 And, yes, today we remember. The squirrels are crazy this year! I hit one the other day and felt horrible the rest of the day but it was 100% unavoidable. I wish they’d stop and look both ways instead of darting directly in front of the car. Your numbers are pretty depressing . . . unless, I guess, you were the owner of the Lobster House! Sorry you had that experience, because none of us want to hit an animal, even a rodent type. Our roads just look like a battlefield. It’s pretty nasty. Yes, I’m pretty sure the owner of Newicks was smiling that weekend especially since an entire tour bus had just entered as I pulled into the lot. I told my 4 children to each choose one of the following to marry: a doctor, a plumber, an electrician, and a carpenter. Only one child listened. But I did get a bonus with a CPA who does my taxes. That one wasn’t even on my list. I heard on a radio show that abundant acorns are the reason so many squirrels are dying on the roads. I was a little confused by that. I’m not sure if they could produce more litters with abundant acorns or they’re being killed gathering abundant acorns for the winter. Oh, I do love your thinking. We have CPAs in the family, and that is a wonderful bonus. 🙂 We drove to Rochester this morning for an errand, and the squirrels were everywhere. We had to keep dodging them. I told my husband Alfred Hitchcock could have made a movie out of this squirrel/acorn situation. That’s a lot of dead squirrels. I don’t think I’ve ever seen anything comparable. LOL loved your numbers Judy. Amazed at the poor squirrels!